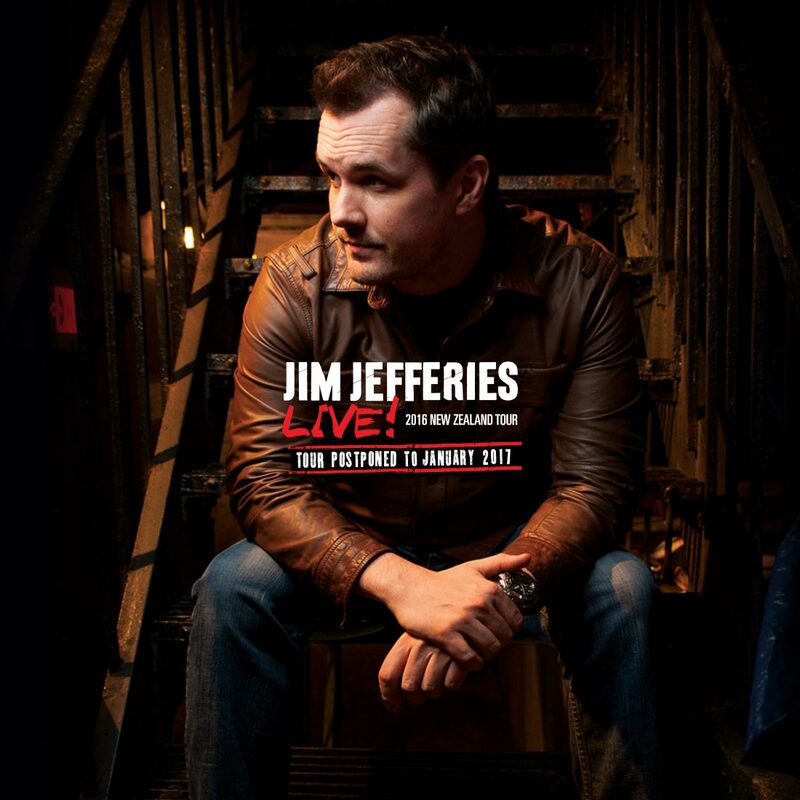 Stand-up heavyweight Jim Jefferies’ hotly anticipated 11-date New Zealand tour has now begun after being postponed in 2016. With four shows across Christchurch and Auckland already sold out – including additional shows added to meet public demand – and the rest of the tour selling fast, it’s clear that the Kiwis can’t get enough of Jim Jefferies! This will be Jim’s largest New Zealand tour to date; playing 11 dates throughout Invercargill, Dunedin, Christchurch, Auckland, Wellington, Palmerston North, New Plymouth, Hamilton and Napier. The Australian-born, US-based comic was last in the country for two sold out shows at Auckland Town Hall and Wellington Opera House for the 2016 New Zealand Comedy Festival, and previously in 2014 for his sold-out debut NZ show at Auckland’s ASB Theatre. With more than 200 million online views and a total of 50,000 tickets sold on his 2016 Australian tour, Jim is one of the biggest comedy stars in the world. He was recently named 2016 Stand Up Comedian Of The Year in ‘The Interrobang’s readers poll’ in which over 10,000 people voted. Craig is the Site Admin at The Speakeasy. When he's not fiddling around with code he's also the Electronic Music Editor. As if he's not busy enough he's also a DJ, Gamer, and Netflix Addict.